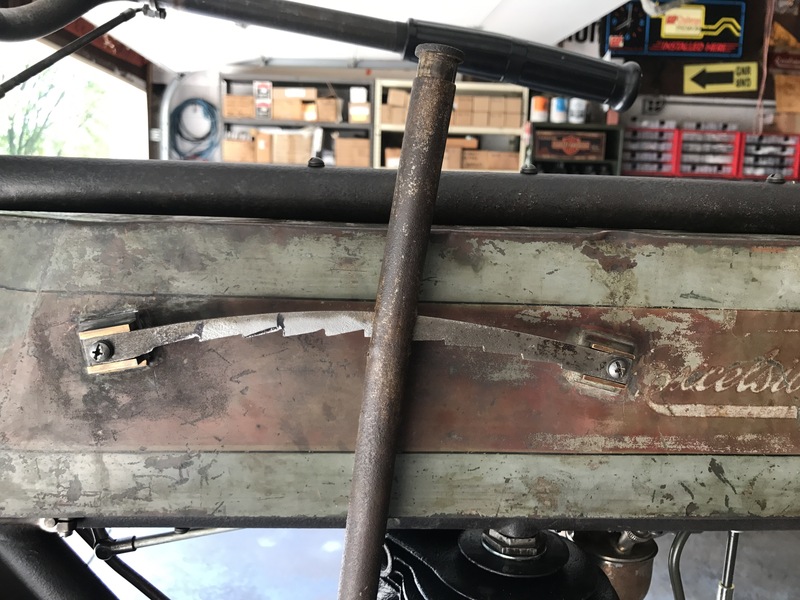 Belt Tension Gate – Tribbey motorcycle tales: 1911 Excelsior Restoration, Cannonball, and Cross Country Chase. The belt tension gate needed some work. 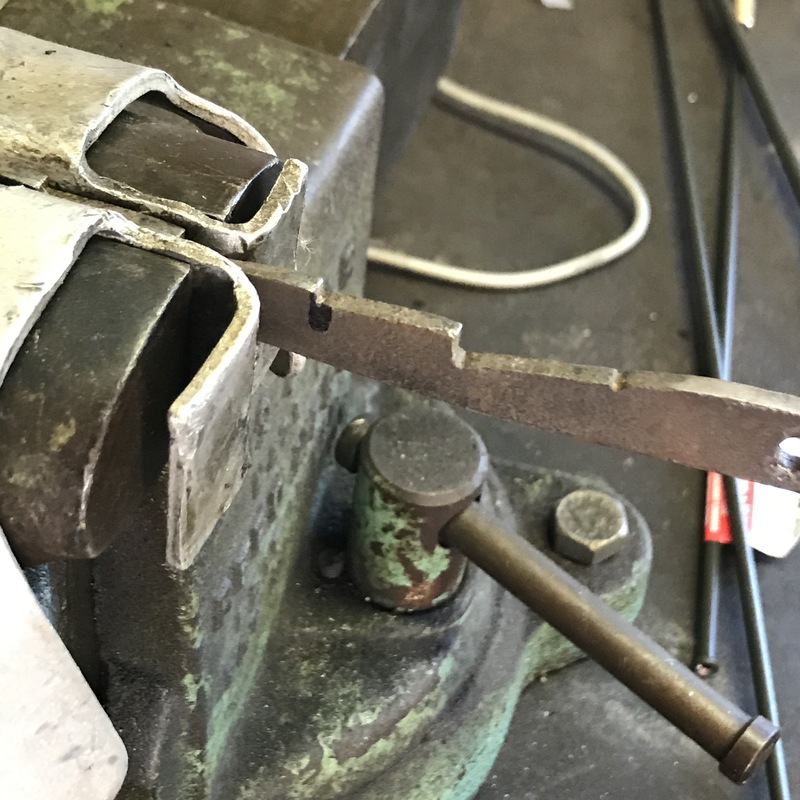 Some of the notches were worn and not able to retain the spring loaded lever engagement pin. So off it came for some filing and fine tuning. All good as new now. Very positive engagement now.